Good Wednesday Morning to all our Brothers & Sisters of the Craft! And shine your light upon the world. And watch over us ad those that we love. The Moon is void from 4:27 PM forward (until tomorrow when the Moon enters Aries at 8:01 AM). The Moon is waxing and in its Waxing Gibbous phase until 3:02 AM, after which the Moon is waning and in its Full phase. The Full Moon occurs today at 3:02 AM in the sign of Pisces. Mercury is no longer retrograde and is in its post-retrograde shadow until September 19th. Mars spends its first full day in Virgo (Mars transits Virgo from September 5-October 22). 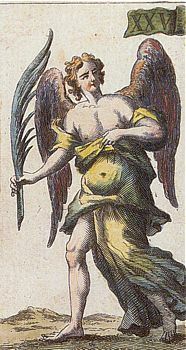 If you look overhead as darkness falls anytime this week, your eyes will fall on the brilliant star Vega in the constellation Lyra the Harp. At magnitude 0.0, Vega is the brightest member of the prominent Summer Triangle asterism. The Triangle’s second-brightest star, magnitude 0.8 Altair in Aquila the Eagle, lies some 35° southeast of Vega. The asterism’s dimmest member, magnitude 1.3 Deneb in Cygnus the Swan, stands about 25° east-northeast of Vega. Deneb trails Vega across the sky by about two hours, and passes through the zenith at approximately 10:30 p.m. local daylight time. After a three-month hiatus, Mars returns to view in early September. The Red Planet rises more than an hour before the Sun and climbs 7° high in the east 30 minutes before sunup. It shines at magnitude 1.8, so you’ll likely need binoculars to pick it out of the twilight glow. This reappearance marks the beginning of a long and glorious apparition for Earth’s neighbor that will culminate at opposition next July. Chaos was the first Immortal to come into existence and he was soon followed by Gaia, Tartaros and Eros. Tartaros is the Pit and Eros is the god of love. Gaia became the foundation of all the Immortal and mortal generations to follow. Gaia, Tartaros and Eros were not necessarily the children of Chaos but rather came into existence as a result of the presence of Chaos. Of the primal Immortals, Gaia was by far the most prolific and nurturing. Gaia’s first creation was the Heavens … she named him Ouranos. Gaia gave birth to Ouranos to cover herself on all sides and to be her equal in all ways. Ouranos proved to be a difficult son … he was devious and sometimes dangerous. Ouranos had absolute dominion over the Heavens but he became too concerned with the affairs of Gaia and much to her disapproval, tried to dominate her as well. Gaia then brought forth Ourea [the Mountains], Pontos [the fruitless deep sea] and the Cyclopes [the Orb-Eyed]. Ouranos, Ourea, Pontos and the Cyclopes were all born to Gaia without consort … in other words, she brought them into existence without the aid of a father. As her first consort, Gaia chose Ouranos. She became pregnant with three gigantic boys who would be named Briareos, Kottos and Gyes. Ouranos feared the boys … he kept pushing them back inside Gaia’s womb and refused to allow them to be born. Ouranos was worried that the three monstrous boys would be more powerful than himself and usurp his power. With Ouranos as the father, Gaia became pregnant again but this time Ouranos allowed the children to emerge from Gaia’s womb … thus the Titans were born. Ouranos named these children Titans because they quickly demonstrated their complete lack of restraint … the name Titans literally means Stretchers or Strainers … they stretched and strained the limits of propriety and indulged themselves to the point of self destruction. The Titans not only brought about their own demise, they were also responsible for the demotion of Ouranos. The problem with the unborn brothers Briareos, Kottos and Gyes was becoming a serious problem for Gaia. Each time the boys would attempt to emerge from Gaia’s womb, Ouranos would force them back inside. Gaia suffered greatly and finally in desperation, devised a treacherous plan to punish Ouranos. She created the element flint and formed a sickle … she then gathered her male children and explained to them that Ouranos could not continue with his brutal behavior. All but one of her sons refused to help because they feared Ouranos … only devious, devising Kronos was willing to stand against his father. Kronos reasoned that Ouranos was the first to act shamefully and anyone who stood against him would be absolved of any blame. Gaia rejoiced when Kronos promised to help her … she gave Kronos the flint sickle with its jagged edge and hid him in a secret place so that he could surprise Ouranos. As night fell, Ouranos came to Gaia … Kronos took the sickle in his left hand and struck at his father … Ouranos was caught unawares and could not protect himself from the cruel flint … his male members were cut off and the drops of blood were absorbed by Gaia. As the seasons passed, Ouranos’s blood gave life to Erinys [the Punisher], the Giants and the Meliae [Nymphs of the Ash Tree]. The remaining flesh fell into the sea and from the foam and water a maiden was created … this maiden became the goddess of love, Aphrodite. With Ouranos out of the way, Briareos, Kottos and Gyes were finally allowed to be born … all three were truly gigantic … each of the brothers had fifty heads and fifty arms sprouting from his massive shoulders. Although Kronos had helped his mother greatly, he soon became overbearing and devious just like his father, Ouranos. When Kronos saw Briareos, Kottos and Gyes he became afraid of their strength and beauty … before they could become too powerful, he imprisoned the three brothers under the earth and would not let them see the light of day. Kronos was the most self-indulgent of all the Titans. His outrageous behavior towards Briareos, Kottos and Gyes was nothing compared to his contemptible treatment of his own children. When Kronos married his Titan sister Rheia, Gaia told him that he would be stripped of his authority by one of his children. In a vain attempt to avoid his destiny, Kronos swallowed each of his children as they were born. When Rheia gave birth to her sixth child, she substituted a stone in place of the infant. Kronos swallowed the stone without knowing that he had been tricked. Gaia assisted Rheia in hiding the child from Kronos. The child was named Zeus and just as Gaia had predicted, he was destined to overthrow the power and authority of Kronos. When Zeus grew to manhood, he returned to confront his father. Zeus kicked Kronos in the stomach with such violence that the swallowed children were disgorged. The children Kronos had swallowed were quite different from the Titans. When the five children Kronos had swallowed were disgorged, they were fully grown gods and goddesses … Poseidon, Hades, Hera, Demeter and Histia. Zeus summoned all benevolent Immortals of the earth and asked if they would become his allies in the inevitable war against the Titans. Zeus promised that any Immortal who fought for him would be allowed to keep their domains and their powers after the Titans were vanquished. At Gaia’s advising, Zeus freed Briareos, Kottos and Gyes so that they could fight for him … they proved to be formidable allies. The fierce ten-year war with Kronos and the other Titans was called the War of the Titans. After winning the war, the children of Kronos and Rheia made Mount Olympos their home and they became known as the Olympian gods. At the prompting of Gaia, the Olympians asked Zeus to reign over them all. Kronos was banished from the face of the earth. After the War of the Titans, Gaia became the consort of Tartaros … he was of the same generation as Gaia and manifested himself as the Pit. Like Gaia, Tartaros was one of the four original Immortals after Chaos. Gaia and Tartaros had a son named Typhoeus … Typhoeus was truly a formidable dragon-god with one hundred heads like snakes … each head had flickering tongues and breath of fire … the voices of the different heads each created a different sound: one head spoke in a voice that the Olympian gods could understand, another made the hissing sound of a snake, another was like the roar of a lion, another was like a furious bull and another made whelping noises. Zeus saw the threat that Typhoeus posed to all the Immortals and quickly moved to subdue the beast … the battle began … with the thunderbolts of Zeus and the fire belching from Typhoeus, the earth trembled and sea boiled. Zeus finally burned the hundred heads from Typhoeus’s necks and cast him under the earth to the darkness of Tartaros. Molten rock and vile winds spewed from the earth where Typhoeus was buried and the damp and boisterous winds were born. Some authors [Pindar and Tzetzes] say that Typhoeus was buried under Mount Etna on the island of Sicily but the poet Homer said the location was in Kilikia in what would now be the southern portion of modern Turkey. Orion was the most renowned hunter of all time. He was the son of Poseidon [lord of the sea] and Euryale, the daughter of King Minos of the island of Crete. Poseidon gave Orion the power to walk on water as if it were land and this, no doubt, added to his hunting abilities as well as his arrogance. When Orion went to the island of Chios he became drunk and offended a young woman named Merope, the daughter of Oenopion. Outraged at such crass behavior, Oenopion blinded Orion and the disabled hunter was forced to flee Chios and take refuge on the island of Lemnos. While on Lemnos, the god Hephaistos saw the plight Orion and gave him a servant named Kedalion to act as his guide. During his travels, Orion was noticed by Helios [Sun] … the god pitied Orion and healed him of his blindness. Orion learned nothing from his punishment and immediately resumed his prideful and self-indulgent way of life. When Orion ventured to the island of Crete he hunted with the goddesses Artemis and Leto. His zeal for hunting made him boast that he would kill every wild animal on the earth. Hearing this haughty and distressing talk, Gaia sent a giant scorpion to kill Orion. After his death, Artemis and Leto persuaded Zeus to place Orion in the heavens as a constellation. The second race of mortals on the surface of the earth was called the Silver generation and their time was called the Age of Silver. After the earth had covered the Golden race of mortals, the Olympians made a second generation, which was Silver and less noble than the Gold. The Silver race was completely unlike the Golden race in body and spirit. The Silver generation remained as children for one hundred years … they were simpletons who spent their lives playing childish games. When they were finally grown, they lived very short and sorrowful lives. They would wrong others and not serve the Immortals or offer sacrifices on the holy altars. When they refused to give honor to the Olympians, Zeus became angry and ended their existence. The souls of the Silver generation are called blessed spirits of the Underworld and even though they are of a second order compared to the Golden generation, they are worthy of respect and honor. The Olympians are credited with the creation of the Silver generation mortals but the poet Hesiod reasoned that since silver was the symbol of Gaia, she must therefore be responsible for that particular race of humans. Hesiod’s theory is not confirmed by other texts and might be thought of as a theological deduction and not necessarily a fact. Kottos, Briareos and Gyes – the hundred-handed brothers. Nereus – the Ancient of the Sea. Thaumas – the father of the messenger goddess Iris. Phorkys – the Old Man of the Sea. Keto – the mother of the Graiae [the Gray Sisters], the Gorgons, the six-headed Skylla and the serpent, Ladon. 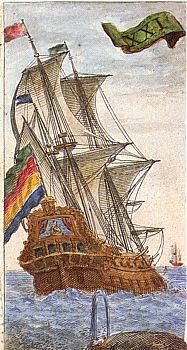 Eurybia – the mother of Pallas. Okeanos – [Ocean]; the father of the three thousand Okeanids and the Rivers. 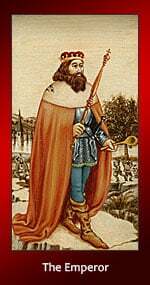 Koios – the father of Leto and Asteria. Krios – the father of Pallas. Hyperion – the father of Helios [Sun], Selene [Moon] and Eos [Dawn]. Iapetos – the father of Prometheus, Atlas, Epimetheus and Menoitios. Theia – the mother of Helios [Sun], Selene [Moon] and Eos [Dawn]. Rheia – the mother of the Olympians. Themis – the goddess of law and order. Mnemosyne – [Memory]; the mother of the Muses. Phoibe – the mother of Leto and Asteria. Tethys – the wife of Okeanos [Ocean] and the mother of the three thousand Okeanids and the Rivers. Kronos – father of the Olympians. Erichthonios was the half-man/half-snake son Gaia and the god Hephaistos. Gaia gave the infant Erichthonios to the goddess Athene for protection … she in turn put the child in a chest, which she gave it to the three daughters of King Kekrops of Athens to guard with the admonition that they never open the chest. Even after being warned by the goddess, the young women could not resist opening the chest. When they beheld the snake-like appearance of Erichthonios, they went mad and threw themselves from the rocky plateau of the Acropolis of Athens. What’s Happening at the Full Moon? The Full Moon is a peak, and many feel the buzz. It’s a crescendo and sometimes brings on a reckoning…a moment of truth. It’s associated with illumination since it lights up the dream time landscape. At the Full Moon, the luminaries — Sun and Moon — are always in opposite Zodiac signs. The polarity brings heightened tension, as balance is sought between the two extremes. The Moon has been waxing (increasing), and if you set new Moon intentions, you’re ready to act! In the hum of the jolty energies, there can be epiphanies about things that were vague desires at the New Moon. Make it real, with tangible actions, perhaps a ritual that signifies you’re ready to integrate your intent. I like to stay open to surprise, too, and divine inspiration. This is a way to stay attuned to cosmic currents and go with the flow. It’s a constant in a chaotic time, that the Moon waxes and wanes. Each lunation is a chance to set new goals, and feel closer to a bigger mystery. This word is used a lot and is interchangeable with the word goals. Perhaps, though, it suggests an active engagement in what you’re co-creating with the universe. Your intent is what you intend to create in your life. Some like to create Vision Boards at the New Moon. But the amped up energies and clear sight make the Full Moon ideal for dreaming-while-awake. Each full Moon has a different intuitive feel, and any ritual you do could draw on the essence of the sign. As it approaches, you might gather photos, found objects, meaningful totems and place them with your intentions in a prominent place. You might light a candle in a simple Full Moon Ritual. The Full Moon often casts an exuberant vibe, making it a great time to have a party. This also opens the door for meaningful people to step into your life. But keep in mind that it can be intense, too. There’s a reason why more patrolmen are sent out on full Moons! Take time to honor yourself in some way for any steps you took since the new Moon. Sometimes Full Moons feel like the end of an Act in your ongoing life story. It’s like in a movie where all the plot points are pulled together, and for a brief moment, you can see the interwoven whole. If you set intentions, the full Moon is a time when you begin to make out the path and can take an exhilarating step forward. It is both a culmination and a time to act on something you’ve imagined. In the act of doing, you have brought an idea into reality and made magic. Items you’ll need: Floating candles, a large bowl, water, matches, a pen. 1. 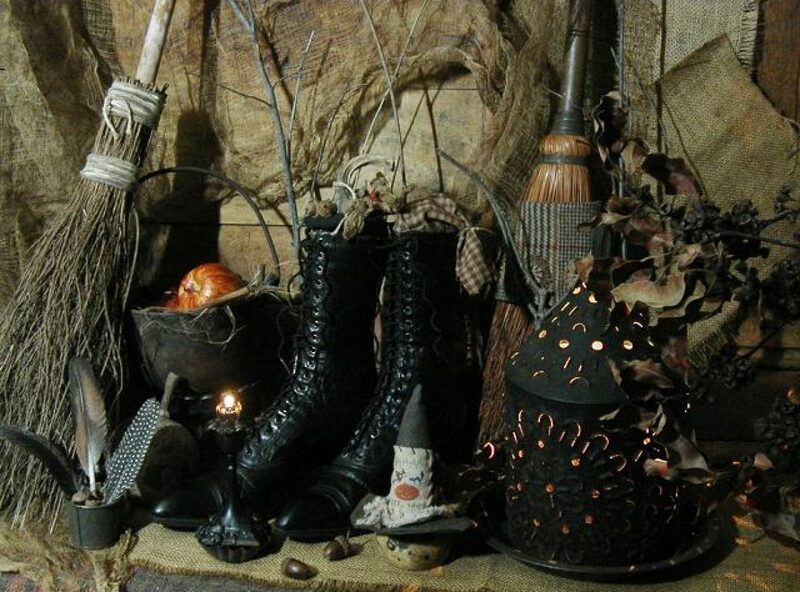 Create sacred space with candles, sage smudging, and setting up altars with powerful totems. For some rituals, I’ll use an owl’s wing that a friend gave me, to represent wisdom. 2. If possible, stand or sit under the Moon. Allow yourself to feel a direct relationship to it, as a mover of the living waters of the Earth and within our own bodies. 3. Do a grounding exercise, to bring you out of the chatter of small talk and into ritual space. Feel the earth under your feet and shake out the tension in the body. 4. Place the large water-filled bowl in front of you, or in the middle of your gathering on a table. 5. Each person writes what they’re releasing on the floating candle. It’s not important that it shows up, just that the intention is there. 6. As you place the candle into the bowl, declare what you’re releasing. 8. Allow yourself to feel the transfer of what you’re releasing to the candle. As a group focus on letting go into the water, holding hands if that feels right. 9. Celebrate this release by sharing a feast under the full Moon! The Moon today is in a Full Moon phase. During a Full Moon the moon is 100% illuminated as seen from Earth and is on the opposite side of the Earth from the Sun. The Moon will be visible throughout the night sky rising at sunset in the east and setting with the sunrise the next morning. The point at which a Full Moon occurs can be measured down to a fraction of a second. The time it takes between full moons is known as a Synodic month and is 29.530587981 days long. What promises to be the most slippery, sensitive full Moon of the year rises at 13 degrees of Pisces on 6th September. This Moon, in the watery sign of the Two Fishes, dives deep into the oceans. Like a mermaid, it pulls us beneath the waves into the mysterious realms of Neptune, King of the Seas and planet of dreams. How might this manifest here on Earth? It’ll be interesting to see what it brings up, for this full Moon represents the opening chords of a long-lasting Neptune symphony that’s coming in December, and surging onwards into 2018. Themes might include the power of music, art, and creativity; psychic awareness; sensitivity or addiction to drugs, foods, alcohol and medicine; and issues around healing or caring for others – the Moon and Neptune can have a very compassionate side. The full Moons of November, December, and January are all partnered with Neptune, meaning that what swims to the surface now is just the beginning. If, for instance, a scandal arises this September, then it will resonate for months as each full Moon highlights more nuances, bringing more echoes to our attention. And if you have a visionary experience or revelation, then that, too, will continue to puzzle and intrigue you as the autumn weeks pass and we approach the seductive sorcery of the first Jupiter-Neptune trine in early December. Meanwhile, we must all watch out for delirious delusions, particularly in romantic relationships, or when discovering a new guru, diet, or path to what seems like bliss. The dark side of the Moon and Neptune can be very confusing – and it’s easy to sacrifice the rational side of ourselves in favour of what turns out to be an illusion. The Moon and Neptune dissolve boundaries. This is helpful when it comes to creative inspiration or spiritual seeking, but challenging when it comes to saying no. Emotions are at a peak this full Moon, so will need balancing with some of those things valued by Pisces’ opposite sign, Virgo – healthy, hearty foods, practical activities, and down-to-earth common sense. If you have personal planets or points at around 11 – 14 degrees of Pisces, Virgo, Gemini or Sagittarius you’ll be extra sensitive to this full Moon and the ones to come. If you have planets or points at those degrees of Capricorn or Taurus you’re in a good position to channel this inspiration creatively, sexually, or intuitively. ‘The sea, once it casts its spell, holds one in its net of wonder forever’. Every Full Moon symbolizes a culmination in the cycle of tension between cosmic opposites — things like good/evil, male/female, and yin/yang. The Full Moon in watery Pisces on September 6, 2017, fills our hearts with compassion by melting away the illusions of separateness. We are all flood victims, even if we don’t live in Houston or Mumbai. But, once we step beyond our local points of view, we are also subject to fantasy and deception. It’s more challenging to know what’s real when we venture into imaginative dreams. 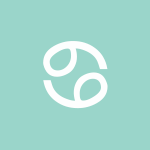 Ultimately, the Pisces Full Moon pits the Virgo Sun’s egoic drive for efficiency against the soul’s need for spiritual connection. 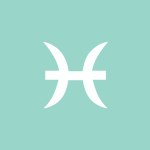 It’s true that dreamy Pisces can be prophetic and intuitive, yet it can also be fearful and confusing. 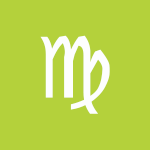 Nevertheless, we must also remain practical as the earthy Virgo Sun narrows our perspectives and bring us each back to the pressing matters in our individual lives. Conflicting cosmic messages are strong during this Full Moon, as the detail-oriented Virgo Sun focuses our thoughts while the Pisces Moon joins nebulous Neptune to soften our resolve. Establishing healthy boundaries is hard work, yet our fuzzy thinking inspires us to imagine alternatives that previously seemed impossible. Luckily, action-hero Mars and clever Mercury are harmoniously trine to electric Uranus at the time of the Full Moon, shocking us into awareness. Intelligence is poised to overcome ignorance. Change is not only possible, it’s inevitable — and it’s going to happen fast! Romantic fantasies may be the source of sweet enchantments or fearful visions. You can dream of idealistic futures while the psychic Pisces Full Moon shadows your 5th House of Love and Creativity. But your thoughts could also take you to darker and more complex places, too. The key to optimizing the power of your imagination is observing the fruits of your mental wanderings without being hooked into manifesting any one outcome. Practice detachment by pretending you’re at the movies. Enjoy the magic of your mind without becoming a slave to its desires. The Full Moon in Pisces occurs early today, Aries, and has the effect of bringing matters, feelings, projects, and ideas to a head or to fruition. This lunation can bring a secret, health, or private matter to light or a work project to fruition as it occurs in your solar twelfth house. If you’ve been pushing too hard recently, some rest, a break, for a hiatus may be needed now, even if it feels at odds with your work or health initiatives. In truth, it will ultimately improve your productivity. Circumstances point to a need to find a healthy balance between time for yourself and time to perform your services or tend to your daily affairs. Even so, Mars is now in your work and health sector, revving you up for action. It will be here until October 22nd, so you have time to benefit from this powerhouse planet, and going forward, you may be taking on more challenging projects that advance or improve your work or routines. The desire to step up a health and fitness or nutrition program runs high now. A Full Moon tends to illuminate unacknowledged feelings or resources, dear Taurus, and today’s Full Moon shines brightly in your social sector, pulling up buried feelings for someone or stimulating the need to come to someone’s aid. A buried relationship problem can emerge and demand attention. 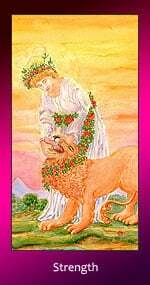 You’ll gain new insight into the emotional side of a matter now, and you may very well feel purged and empowered now. There can be sudden involvement with others and perhaps a friendship issue coming to a head. Love affairs, children, friends, and teams are areas of life that can involve revelations, unveilings, and important discoveries now. Yesterday, Mars moved into your solar fifth house, bringing more power to this sector of your chart until October 22nd. This brings invigoration to romance, pleasure, self-expression, and entertainment. Romance can become heated, and this can be stimulating or challenging, depending on how you handle the energy. The Full Moon this morning stimulates feelings and realizations that lead to turning points and epiphanies this week, dear Gemini. In your solar chart, this lunation brings light to matters related to career, life direction, ambition, goals, and reputation. The need to fill your responsibilities or to reach a major goal can come over you in a rush. Some of you may even discover or awaken to a dream job or path that motivates you in a new direction. If you’ve been paying too much attention to your personal life, events occurring now push for balance. Emotions can be hard to contain, but it’s a good idea to observe a little longer before making important decisions. While the need to get to a better balance still stands, Mars is now transiting your sector of home and family, and this can be an excellent period for getting a lot done in your personal life. Until October 22nd, you may be working more heartily on home projects or spending more time actively involved with family. The Full Moon occurs early today, dear Cancer, and lights up your sector of spirit, adventure, and expansion. There can be turning points brought upon by new information or sudden emotions that surface now that stimulate a strong need to get away from it all. An idea that you’ve been working on might blossom or take off now. A desire to travel, take a new course, pick up a new interest, or expand your reach or audience can take you over today and this week. Try to set limits and priorities, of course, but enjoy the realizations and rush of discovery coming over you now. Even so, Mars has just moved into your communications sector, and you have some excitement to deal with in your daily life. Do fight for a balance, but also take advantage of this Mars transit that can motivate you to get a lot done in a short time until October 22nd. Arguments over the little things could be more frequent now, however, and you should certainly watch for impatience while driving, walking, and getting around. The Full Moon happening early today has a way of bringing projects and feelings to bloom or previously unacknowledged matters to light, dear Leo. 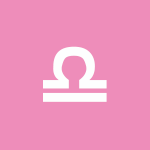 This lunation occurs in your solar eighth house, and intimate matters or power dynamics in close relationships may come to a head, or a financial issue reaches a turning point. Managing expectations can be the key to success now, but it’s also a time to push the usual boundaries a little. Much of your attention has been to the material world recently, and the Full Moon reminds you to feed your needs for emotional sustenance. Even so, Mars is now transiting your solar second house until October 22nd, and a bolder approach to business, earnings, defending your territory, and proving your worth can emerge. You may experience a drive for more financial independence. Tap into this increased courage to earn what you need and deserve. Focus on building your resources for the most, but this transit may be just what some of you need to take an educated risk. The Full Moon occurring early today illuminates your relationships and gives you a rather sudden perspective on your life, dear Virgo. You have a lot to learn from others now, and while this is an important time for pouring energy into your personal plans and interests, you can benefit from the support of and attention to special people in your life now. This is a time of full exposure. Something surfaces that brings buried emotions to the surface, a relationship to a turning point, or a push to make an improvement in your life. Even so, Mars has now entered your sign and will be your guest until October 22nd. Over the course of this energetic cycle, you’ll have plenty of chances to assert yourself and seek out what you want from life. You can find yourself especially motivated, desirous, assertive, and perhaps impulsive at times in the weeks ahead. The Full Moon occurring this morning falls along your work and service axis, dear Libra, stirring up the need to pay more attention to the delicate balance between mental and physical health as well as work and rest. Generally speaking, this is a time for getting more rest and paying special attention to your emotional world, but this Full Moon has something to teach you about moderation. A deadline, incoming news, or the need to attend to work or an appointment can emerge now. With all Full Moons, seek out balance and compromise, and for this one, consider what’s healthy for you, both mentally and physically. Even so, Mars has just moved into your privacy sector, and until October 22nd, encourages you to take charge of your private life. This is a good time to reassess your goals, needs, and desires. It’s not the most decisive or energetic of periods in your life, with the exception of cutting out activities and situations that have outworn their usefulness. A Full Moon occurring early today brings illumination to your life in the areas of romance, dating, recreation, creativity, friendship, and personal goals, dear Scorpio. You may receive special attention for your creativity or your ideas now. For others, this is about recognizing feelings for a person or a situation that you’ve left unacknowledged. There can be an epiphany now, a blooming or blossoming of a project, or final word on a matter. New information or a burst of emotion can prompt a turning point. This can be an exciting time for you, but it can also be a time for wrestling with your expectations and attempting to come to a better balance in your life. If your love life and social life have conflicted, this matter can now reach a head. Mars has just moved into your social sector and is set to visit there until October 22nd. During this cycle, your social life is more active, and you could find you’re in high demand. The need to find a good balance still stands, but there is no harm in putting a little more energy into friends, networking, and community during this cycle. The Full Moon early today falls along your career and family axis, Sagittarius. This is also your public life versus private life axis, and finding a balance between these worlds becomes vital now. With the Sun (and now Mars) in your career and reputations sector, you are more ambitious, performance- or goal-focused, and in tune with your responsibilities to the outside world. This Full Moon serves as a potent reminder of your personal relationships, responsibilities, and ties. Try not to go to extremes now, but do acknowledge new feelings and realizations now. However, Mars is bringing formidable energy to your career and reputation sector, having entered it yesterday and set to stay until October 22nd. While the Full Moon’s prompt to find balance still stands, this is nevertheless a period for pumping yourself up professionally, taking the lead and initiative more often, and pursuing your ambitions directly and with vigor, but also with particular attention to detail. At times during this seven-week transit you could find yourself in conflict with authority figures or facing challenges with your reputation, but you’ll get better at this after Venus enters this same sector on the 19th. The Full Moon early today pulls up the need to pay more attention to your daily affairs, immediate environment, and communications, Capricorn. You can feel quite pressed to take care of things or news can arrive that gets you going. A project could reach a head or a deadline for some of you. Recent inattention to details or daily affairs now needs some rectifying, and you should be lobbying for a better balance between things you need to do to keep your life in order and those things that feed your spirit and take you away from the daily grind. Watch for information overload now, but pay attention to what emerges now. While the Full Moon’s push for you to find a balance stands, Mars, the planet of action began energizing your solar ninth house yesterday and is set to stay there until October 22nd. This encourages a crusade for more engaging, mind-expanding experiences, whether this takes place in your mind or in person (or both). With Mars now in harmony with your sign, asserting yourself and pursuing your desires comes more naturally and without much ado. The Full Moon occurring early today tends to pull up emotions and lead to significant realizations, dear Aquarius. It falls along your resources axis and tends to center around issues related to earning, sharing, possessiveness, self-worth, and how these things affect you and your close relationships. 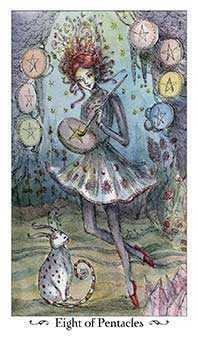 This lunation can bring a financial or ownership matter to light or to fruition, or an emotional or relationship matter might reach a head and epiphanies can come now that bring you closer to how you feel about a situation. Dependencies are in focus now, but it’s also a time for balancing the books. Wait until you’ve digested feelings emerging now before springing into action. Mars is now energizing your solar eighth house until October 22nd. This can be a cycle in which you can get to the root of challenges in a close relationship related to sharing and power politics or to the heart of your desires. 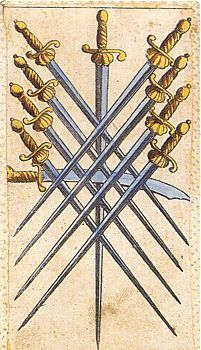 If there are confrontations now, you’ll be able to get in touch with your own passions and desires through them. The Full Moon early today occurs in your sign, dear Pisces, and can serve to pull up epiphanies or unacknowledged emotions, as well as bring long-standing problems or projects to fruition. A personal revelation can occur now. Keep in mind that wishful thinking may color judgment at the moment, but while it may not be wise to act on your feelings immediately, it’s a powerful time for self-awareness. You might recognize your true feelings about an issue, which can set you on a new path. You’re making incredible discoveries about your life plan, body, and attitude/outlook. This can also be a time when a close relationship makes headlines in your life, and with energetic, assertive Mars now moving through your partnership house, it’s a time of animation in your relationships. Mars’ transit lasts until October 22nd and tends to pull up problems that may have been at work under the surface of things. This can be a little tense or chaotic, but ultimately refreshing, as you now get the chance to deal with them. Watch that you don’t pass the buck during this cycle – own and acknowledge your role in conflicts or strife that might emerge now. You have a love-hate relationship with routine! While you crave the security that comes with it, you also enjoy some level of unpredictability and excitement. You love to keep active and you are energetic, sometimes restless. You have quick reflexes and strong instincts. At your worst, you are impatient, impulsive, and restless to the point of never seeming satisfied. At your best, your imagination is excellent, you have good people skills, and your insatiable curiosity makes you extremely interesting to know, as your ideas are always unusual. Your talents are many and varied. You are exceptionally adaptable. You need a certain sense of freedom of movement in order to be happy, yet you also yearn for stability and security. You are attracted to mentally stimulating and interesting people –those you remain youthful in spirit throughout life. You are romantic and fun to be around in partnership, but you need to know that a relationship furthers your own personal growth in order to stay satisfied. Famous people born today: Jane Addams, Roger Waters, Jane Curtin, Rosie Perez, Idris Elba, Naomie Harris. 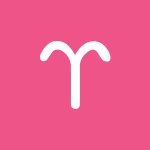 The Moon moves into your sign this morning, Aries, bringing emotions to the surface and stimulating your need to feel connected and reinforced by the world around you. You seem to take the lead naturally, and others follow along without much thought to it. However, a Mars-Pluto aspect influencing the day suggests you may be taking some things quite seriously, and this can weigh down on you at times today. Your desire to tackle the details or smaller problems is powerful but seems to run at odds with your larger ambitions, and you can fear that you’re falling behind as you sort out the little things. Try to identify your priorities and strike a compromise. Learn when to draw the line for best results so that you don’t end up losing ground. With the Moon moving into your privacy sector today, Taurus, you’d do well for yourself if you took some extra time to yourself or escape from overly demanding or chaotic atmospheres. You may very well need a little more anonymity today and tomorrow. This can help you tremendously, especially if you’ve been having trouble getting in touch with your intuition. However, the day’s energies are not always conducive to total relaxation, particularly as Pluto challenges Mars in your creative sector and you can feel some pressure to stay in control or “in the know.” It’s best to aim to get in touch with what it is you actually want and desire, as well as with those things that might bring you the most joy and consider making changes that improve your motivation and focus. All the while, try to avoid controversy today – you don’t need it! 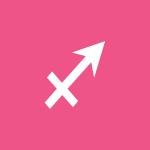 A Mars-Pluto challenging aspect that influences today can stimulate a strong desire to better your situation and seek out a higher level of well-being, Gemini. However, a good part of you just wants to relax and enjoy pressure-free, familiar, and safe activities, and this is a valid desire with Mars transiting your family and home sector until the third week of October. Even as you do try to relax, part of you may be reading between the lines and playing detective. Some of your concerns are hard to shake now. Tap into the energy of the Moon that moves into your social sector and asks you to find company that accepts you as you are, but honor the part of you that needs to dig a little deeper by striking a compromise. 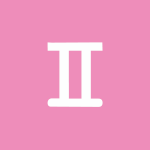 The Moon moves into your career and reputation sector today, dear Cancer, and your emotional focus can be on issues of responsibility, performance, and integrity today and tomorrow. However, as much as you’d like to pour yourself into something productive and exciting, relationship matters can be concerning and/or distracting. Do your best to shake these worries so that you can take care of business. As well, be a little more cautious about how you express yourself, as there is a tendency to make some controversy out of small misunderstandings, but you don’t need this kind of drama now! Confidence in yourself is something you should be striving for now, and you’ll get extra help with this tomorrow and the next day. 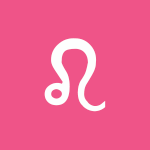 Today and tomorrow feature rising ambitions, dear Leo, and while today it can be difficult to know what you want, facing some frustration can get you to a better understanding of your desires. Mars in your resources sector challenges Pluto in your work and health sector, and you may have a hard time deciding how to go about organizing your time and dividing your attention. You could be feeling somewhat possessive of people, ideas, projects, and things today if others seem to be moving into your territory or pushing your limits. You may not see the direct route to satisfying your needs or asserting yourself, and this can lead to a lot of needless frustration. The will to get things done is strong, but it’s important not to get lost in unexpressed anger or resentment. If you can manage it, it’s probably best to work at your own pace or independently, as you tend to be a little more particular than usual about how you want to get things done. 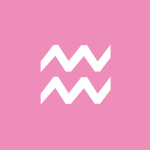 The Moon moves into your intimacy sector this morning, dear Virgo, making it a good time for processing and digesting recent events, as well as observing rather than leaping forward. However, Mars in your sign has other plans! 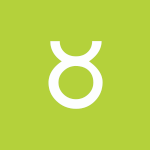 Mars encourages a gung-ho, spontaneous approach to your world today, but certain concerns can be hard to shake, and this can all feel quite choppy as a result. These underminers are related to worries about relationships, children, or creative projects. Challenges may be coming from the outside or they can be internal ones, but what actually matters now is your response. It’s better to avoid smoldering anger and resentment if things don’t seem to be going your way. Give it some time, and things are likely to work out far better than you expect. With the Moon moving into your partnership sector this morning, Libra, the tendency is for you to need company more than usual. However, a Mars-Pluto aspect influencing the day adds a layer of complexity to our desires and needs, and it can be difficult to relax fully and enjoy yourself at times today. There can be some tension revolving around memories or reminders of a frustrating past matter, but this can ultimately motivate you to make changes that free you up and lighten your load. So, while you shouldn’t get too caught up in all of this, it’s a good idea to pay attention to what gets you all riled up. In fact, through observation, you may get a nice little window into what’s going on under the surface so that you can see what exactly needs purging! Try not to over-identify with your ways of doing things or your traditions if it’s interfering with your relationships. The Moon moves into your work and health sector today, encouraging you to take care of business on the level of details, dear Scorpio. The bigger plans and thinking can be tackled at a later time – now is a time for taking care of the small things that hold everything up. There can be distractions today as you go about your business and pursue studies, projects, or personal interests, and not everybody in your social sector is likely to be on board with your ideas. You may, in fact, have a hard time loosening up as you’re worried about competition or getting behind. 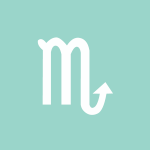 There may be some hard-headedness with assertive Mars running into your ruler, Pluto. You may be wanting to do it your way now, and there is a small tendency to stir up controversy. However, sticking to your guns makes sense now. Try to keep things real today! You are a little more driven and ambitious right now, dear Sagittarius, but you can have a hard time moving forward as you can be stuck on a problem or issue that keeps you from pushing forward today. Defensiveness is likely with Mars and Pluto in challenging aspect. This is a minor aspect, so it doesn’t have to control your day, but if you’re not aware of this tendency, then it very well might! If you observe before acting, there is a better chance of seeing vulnerable areas and learning from them. In fact, this is a great time to find motivation, possibly through frustration, to go after what you truly want and need, and the Sun-Pluto trine influencing the next two days will help you make this progress. The Moon’s move into your creative sector today can contribute to lighten the mood. The desire to get out and about is healthy now, dear Capricorn. To live life more spontaneously is something you’re striving towards with Mars in your adventure sector until the third week of October. However, with Mars and Pluto in challenging aspect today, you may have a hard time fully relaxing as you may fear that you’ll fall behind. You might also have a strong desire to do things your way or to oversee a project rather than feel at others’ mercy, but you should seriously consider whether this is as important as taking a break from the routine. Ideally, frustrations you meet now can motivate you to go after what you want and need, and a Sun-Pluto trine influencing the next two days will help you towards these ends. The Moon’s move into your home and family sector today suggests a need to connect with familiar places and faces. A Mars-Pluto aspect today may stimulate some tension, dear Aquarius, particularly on the level of power dynamics in a close relationship or involving unresolved matters from the past. The larger purpose of this aspect is to get you in better touch with your true needs and desires, and small frustrations ignited today can motivate you to learn about your desires and then go after what you want. You’ll get help for this when the Sun and Pluto form a trine in the next two days. For now, tap into some of the lighter elements of the Moon’s move into your communications sector and enjoy some easy conversations or diversions that help you lighten up, but don’t ignore any tensions coming to the surface now as they can help you understand yourself better. This morning, the Moon moves into your solar second house, dear Pisces, and this turns your emotional attention to building and developing something important to you. It takes some of the pressure or urgency off emotional needs as you understand the value of patience more instinctively. With Mars and Pluto in minor challenging aspect influencing the day, however, you could experience some frustrations if you feel you’re not in control of your life. You may be sensing a hidden agenda when you interact with a partner or friend. Ideally, this motivates you to better your situation and seek out a higher level of satisfaction and comfort in a relationship. Fortunately, the energies of the next two days support this goal. Hang in there and try not to make mountains out of molehills today. This card is your permission to reveal your strength. You can show someone that you can deal with a situation with confidence today. If necessary, this card reassures you of your own power. If single, the Tarot’s Strength selected you to let you know that ‘next time’ you will enter into a new union as an equal partner. As one-half of a couple, you are an equal partner. You are agitated by something that you know is unfair, but don’t let an urge toward activism inhibit or outshine your love life. Why do you think things have been so good. 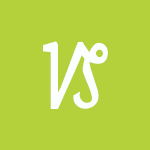 Virgo denotes intelligence and a drive for perfection taking command–the dealing with all aspects of life honorably. 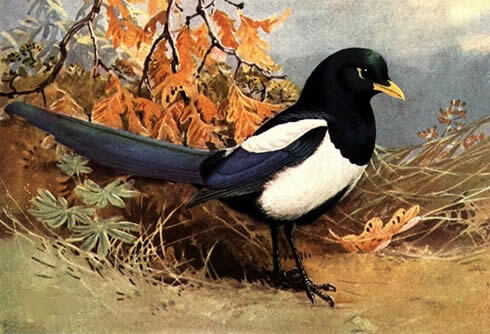 Ancient culture associate Magpies with excellent fortune—so it looks like you’ve got something really terrific coming into your life today. However, you may need to search a little to understand the true gift that’s being presented. Pay attention to omens, messages, the clouds, feathers, bird song—your fortune is hidden in those subtle messages. Opportunity is knocking at your door—will you answer? There are too many options for getting healthy and in shape for you to not be involved in one, and soon. There are even aquatic spinning classes where the water will wash away the sweat while you burn calories. No more excuses! You pulled this 5 because your body needs your TLC. Start small. Go out dancing or shake your moneymaker at home. It will increase your endorphins, which will help you feel better and make healthier choices. Revert to your childhood, if you dare, and get a hula hoop. Make this transition fun. Our graphics on WordPress are starting to mess up, so perhaps it is time to quit for the day. I know we are running later than usual but it is my fault. I just read a comment in the back from one of our sisters in Florida, which hit home for me. What little family I have left is down there also. They have been in my constant thoughts all day. The entire coast has been in my heart and prayers for many weeks now. Tragedy after tragedy, how much more can these people stand. When you stop and think what a monster storm is coming at them now, Goddess help them all! I would ask that all our family pray for our brothers and sisters in the Florida area. Goddess shield them with your mighty strength, keep them safe and give them strength. Watch over them and bring them through this horrible storm that lies ahead of them. Please, almighty Mother, keep them safe from harm and bring them through this storm without a scratch. We love them all, dear Goddess, they are our brothers and sisters, most of all they are your children, Mighty Mother. Give them protection, strength, courage and most of all hope. Wrap your arms around them and shield them from all harm. Let them know they are not alone, they are in our hearts and prayers.